You’ve seen the photos on the Love Beach website, and you’ve transported yourself to the mystical Bahamian island of Guana Cay. 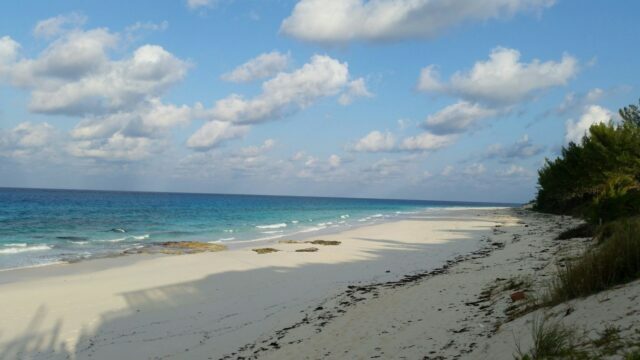 Still, wouldn’t it be great to know in detail what your future stay at Love Beach will be like? Delta, American, Western Air, Bahamas Air, Silver Airways, Sky Bahamas, Craig Air, and Flamingo Air will fly you directly to the neighboring Marsh Harbour airport (MHH.) 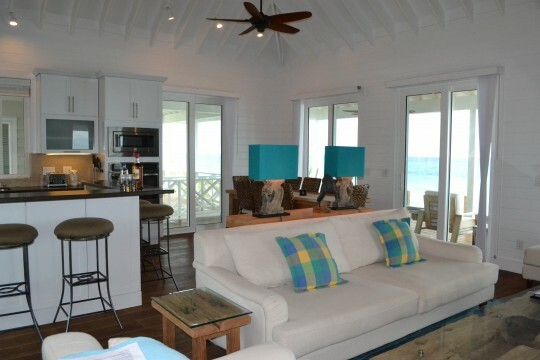 All that’s left is to take a 15-minute cab ride to the ferry terminal, and then a 30-minute ride to Guana Cay, compliments of Albury’s Ferry Service. 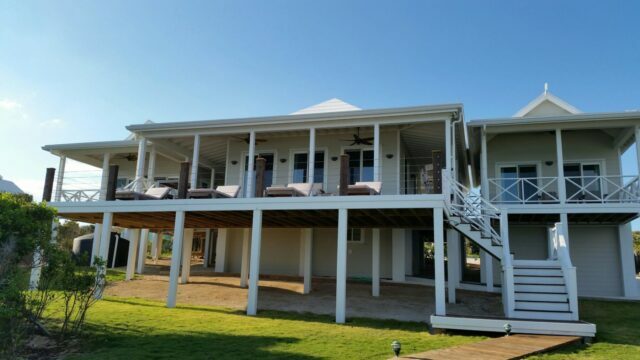 As soon as the ferry docks in Guana Cay, Darvin Curry, the Love Beach Property Manager, is waiting to whisk you away via golf cart to your pristine oceanfront getaway.What’s great is that Darvin provides a wealth of information for everything you could ever ask about this 7-mile long island. In fact Darvin’s company is called Everything Guana. 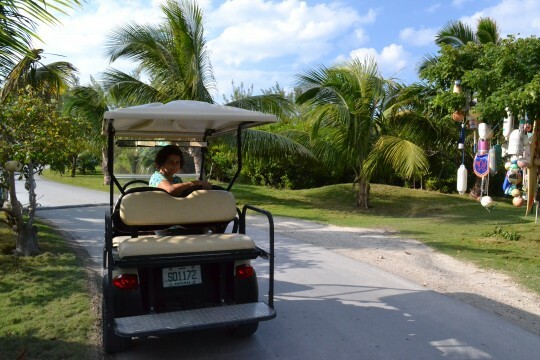 There is something charming about an island whose main form of transportation is by golf cart. 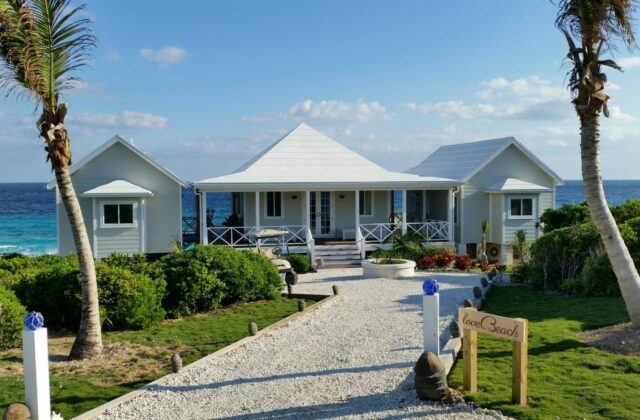 As you cruise along Carlin Roberts Parkway, Guana Cay’s main road on the interior of the island, you can’t help but smile at the names of the pastel-colored homes posted on your way to Love Beach. 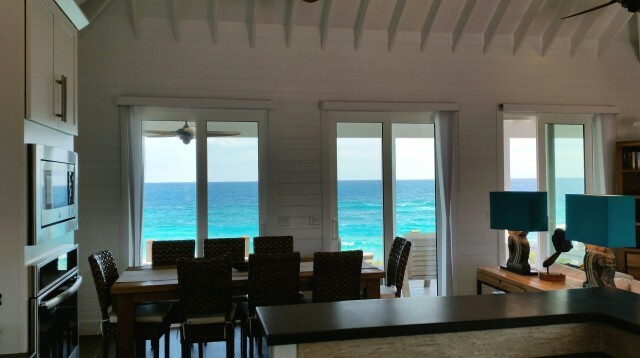 Your eyes are drawn to the turquoise water that frames either side of this rambling oceanfront beauty. 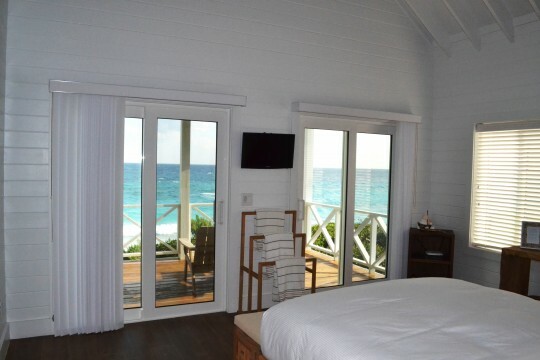 When you first step inside, the views and sounds of ocean waves wrap you up like a Caribbean comforter. Darvin steps back and smiles as you drink in the kitchen, the great room, and the two-tiered deck outside the sliding doors. It’s hard not to get preoccupied with the ocean views, but for now, Darvin shares information on WiFi, the television, safety deposit box code, and what’s happening on the island this week. On your left is the Turtle bedroom the Lobster bedroom is to your right. The bedrooms are mirror images of each other. Both include spacious bathrooms and personal decks out front. 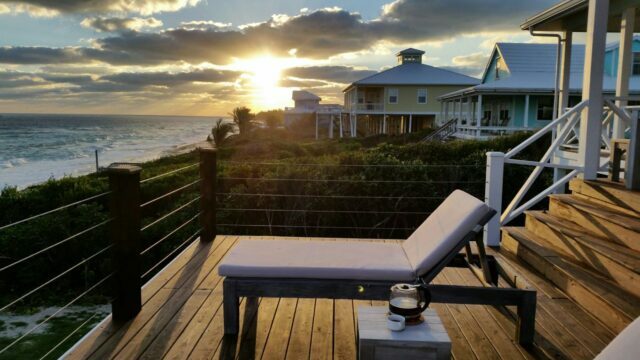 The Lobster is the main vantage point for the Guana Cay sunrise. 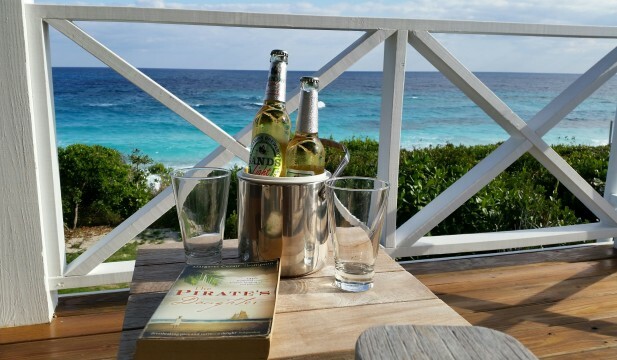 Once you’re unpacked, the beach awaits. If you’re into shelling, then this pink sand beach will reward. You can easily walk for at least a mile in either direction. If you walk to the right, you can access Nipper’s Bar and Grill from the beach. 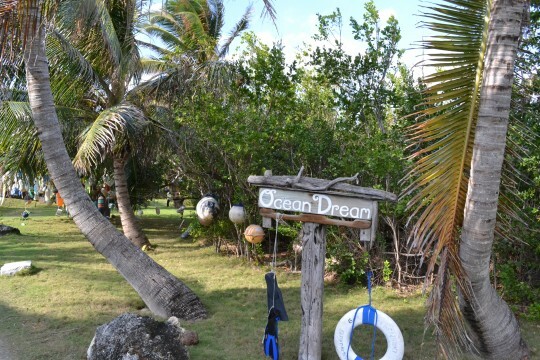 Grabbers, Sunsetter’s, and Nippers are the go-to bars and restaurants on the island. 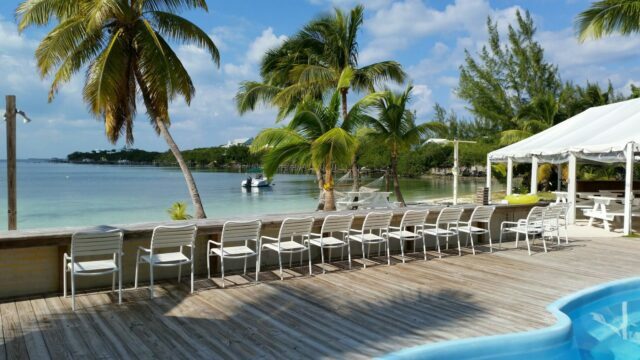 Each offers an eclectic array of island fare and specialty drinks. There are certain nights of the week in which a food special is offered, so Darvin or one of the locals can fill you in on the inside scoop. 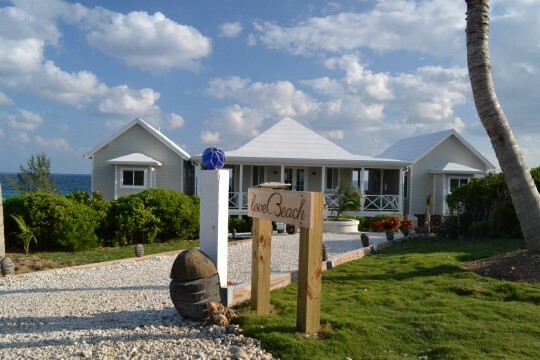 There is one grocery store on Guana Cay’s main road if you’re looking to get set up with breakfast, lunch, dinner, snacks, or cocktails at Love Beach. Beyond food and beverage, the Love Beach owners and Darvin have a sixth sense about anticipating your every need. As your vacation nears the end, Darvin will coach you as to the times the ferry will be leaving back to Marsh Harbour. All that’s left to do is hide your golf cart key in the secret spot. Tim Cotroneo is a Minneapolis-based freelance writer specializing in Caribbean travel, business, and golf.